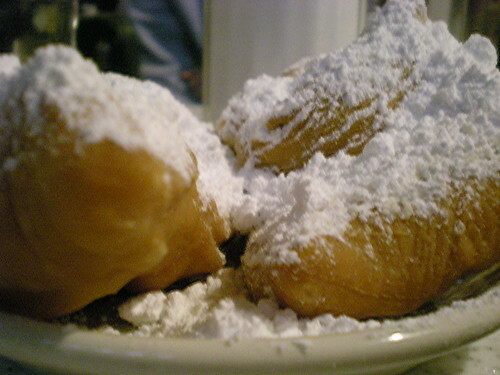 We took a quick middle-of-the-week trip to New Orleans with the Hubb’s parents last week, and I can report that I’ve heard jazz blaring from tiny clubs, eaten gumbo in the French Quarter and indulged in Cafe Du Monde’s world-famous beignets and cafe au lait. On those counts, I’d call it a success. 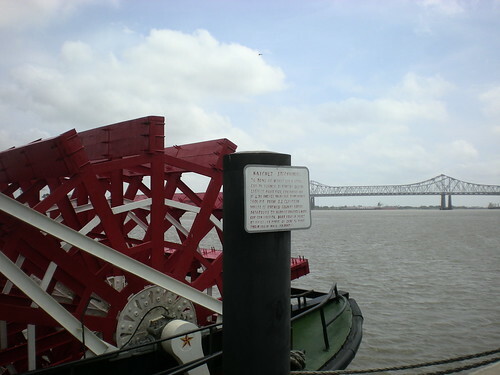 We also cruised down the Mississippi River on the Steamboat Natchez, which was a lovely piece of aquatic machinery, complete with steam-engine room, paddlewheel and lots of wind. My in-laws commented that there was a statue on every corner in the Big Easy. Statues in fountains, courtyards, parks. 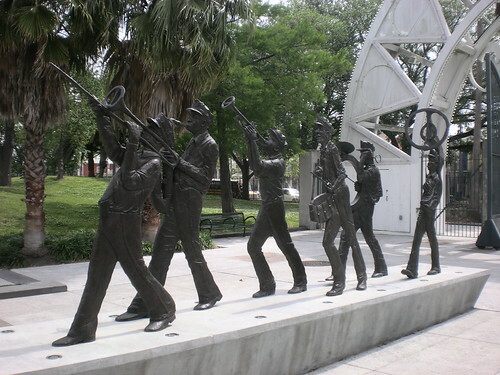 Statues of musicians, explorers, politicians, judges, French and Spanish local-legends… My favorites were the anonymous musicians, like the ones above strolling into Louis Armstrong Park. We’re already plotting a return trip in a few years, when we can eat more Creole food, drink some of the local cocktails, explore the weird little nooks in the French Quarter and hear lots of lively music.